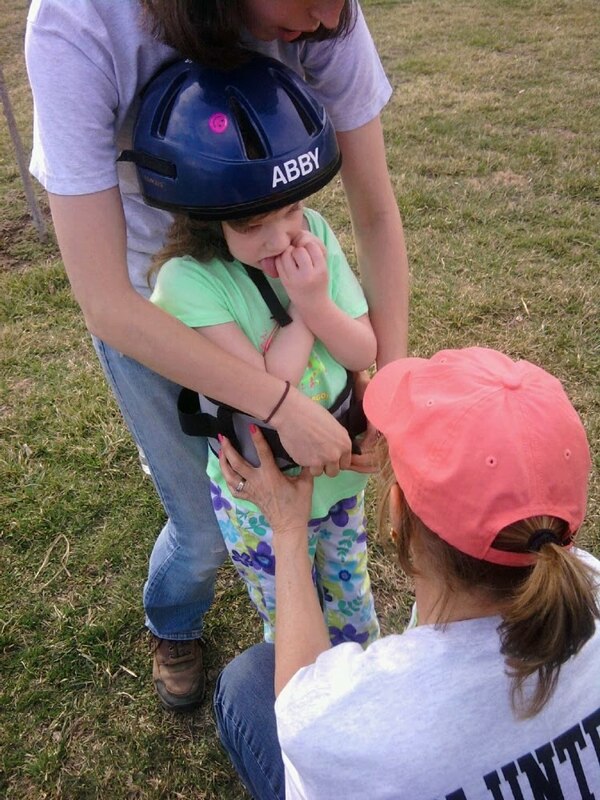 Abby went back to Hippotherapy last week. We were a little concerned especially since she has been out since October. Since she started Kindergarten and elementary school her Physical therapy has been cut by hours per week and we have been doing it at home as much as we can. Below is the little Princess when we arrived. Getting suited up. 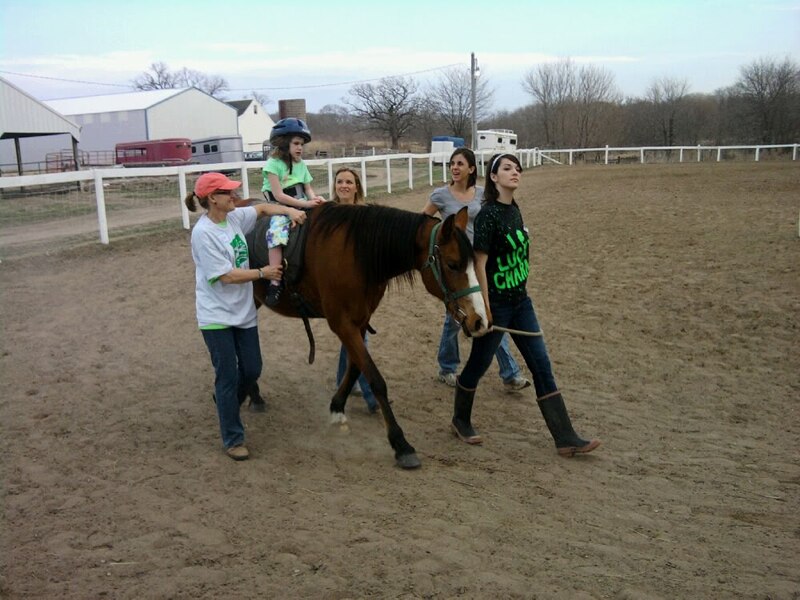 She had all new side riders and a new therapist..who we are so impressed with! 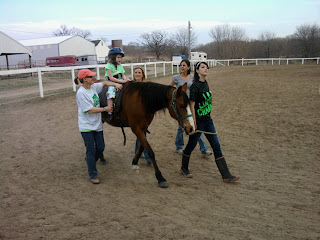 Here they had stopped and she has to tell the Horse to Walk on. Very cute She was able to stay up on the horse the entire ride and we were so thrilled. 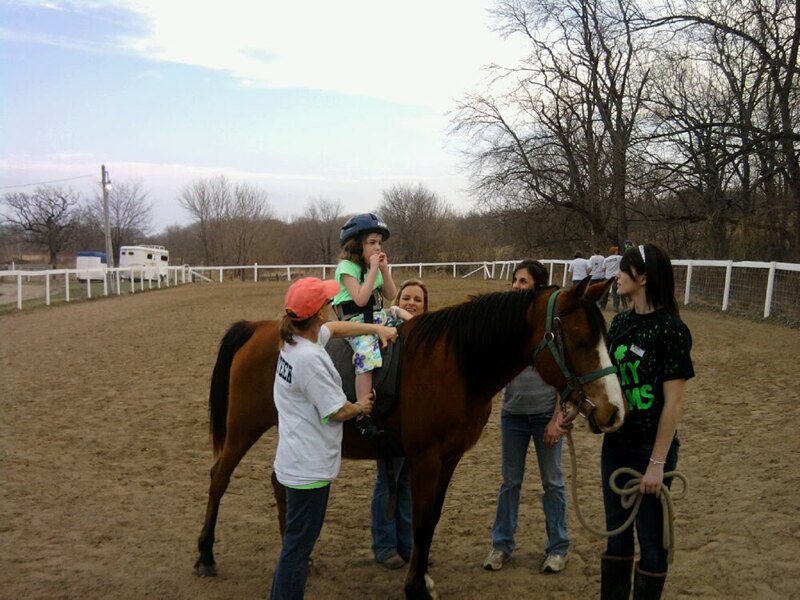 Her first few sessions last year were spent with her laying on the horse. 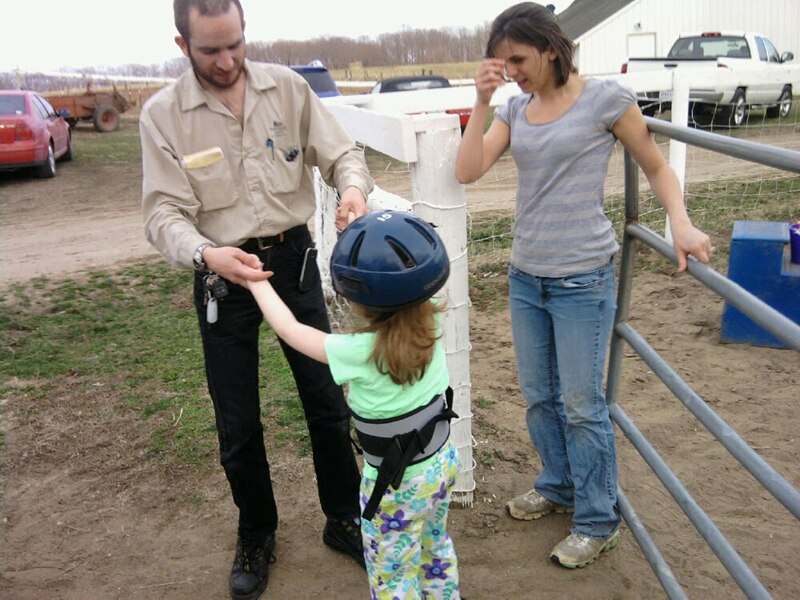 Studly Mc Horserider walking out of the corral Daddy I did it! Helmet hair! She babbled all the way home! Thrilled! Stay tuned. Video to come soon! 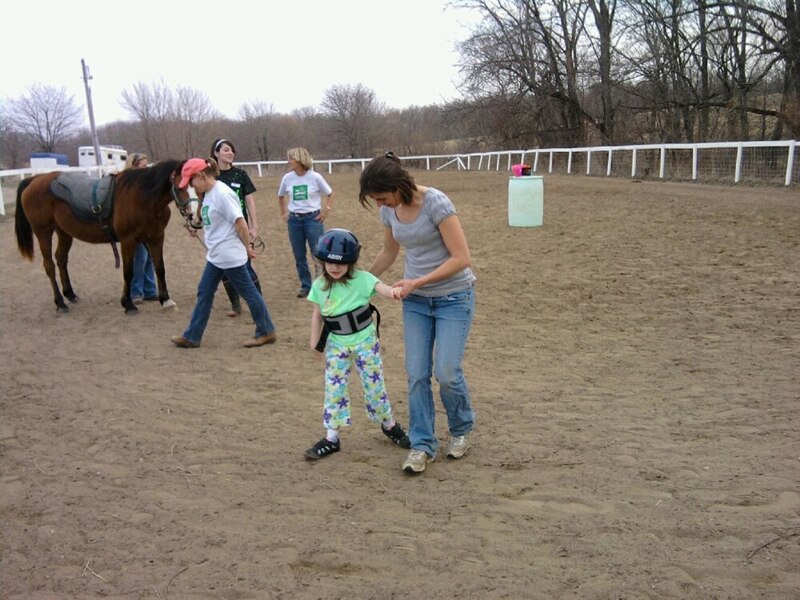 Dress Up 2 Cure - April 2011 Hello all April is fast approaching and April is Autism Awareness month. 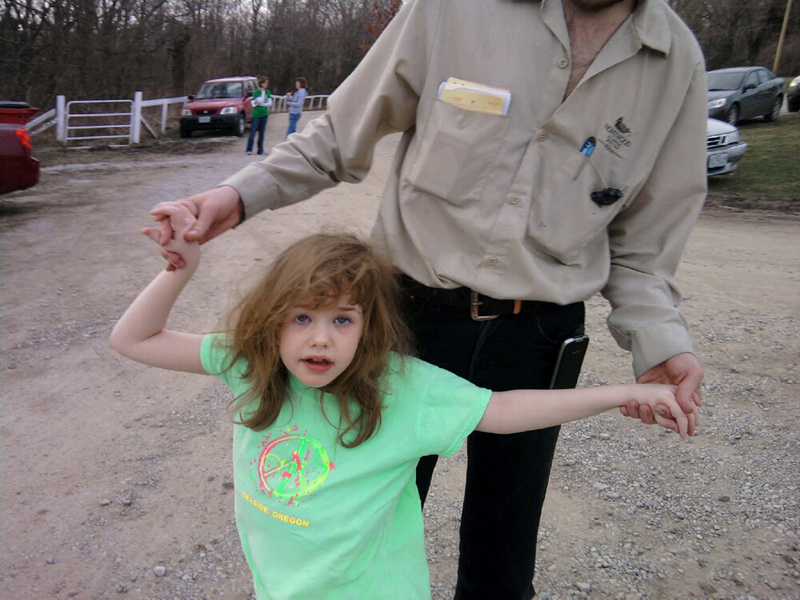 Rett Syndrome is considered to be the very worst of the Autism Spectrum disorders. It is also the only one with a known gene of cause and the only one totally reversed in mice models in laboratory tests. Many genetic scientists all over the world are working on a cure for Rett Syndrome. Because it it the first Neurodevelopmental disorder reversed in tests it is considered the Rosetta Stone for many other disorders. In other words, a cure for Rett Syndrome could lead to a cure for many other diseases like Alzheimers,Schizophrenia and Parkinsons disease. For more info on this please click here. The reversal in mice was actually found quite by accident and reported in Febuary of 2007. 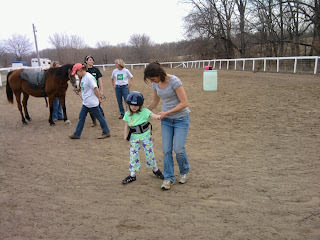 Foor short months after my Abby was diagnosed. Funds for this research are funded almost entirely by private efforts by family,friends and loved ones of the girls and few boys living with this monster (as we call it that stole our children in the night and left us with children trapped in their own bodies with no way to communicate and numerous physical and medical issues). All caused by one tiny gene on the x chromosome that doesn't turn on until our babies are toddlers...stolen from us. Please help us raise funds during the month of April in honor of my precious Abby and thousands and thousands of children just like her. You can donate anytime here or at the link above. For ideas for parties and fundraisers please visit Dress Up 2 Cure's blog here. Just a little FYI...for every 300 people that read this only one will donate. We can only do this and succeed with your help! At the end of January I told you that Abby had had a seizure. A week later she had a cluster at school. Against my better judgement..or my overprotective judgment I allowed her to be put on a seizure med. I told you I would hate it and I do. These videos were taken of Abby last weekend after more than a full nights sleep and a nap. The Abby I knew has not yet returned to me and this is her most days. 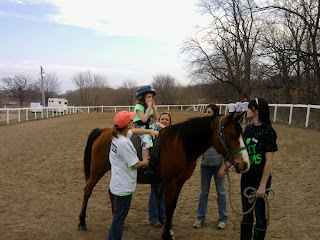 We took Abby to a friend from Kindergartens birthday party this past weekend. We were pretty nervous considering it was at an indoor bouncy park but thought we'd give it a shot. Below is her reaction...translation..."Are you friggen kidding me Mom?" Seriously that was so not fun and you guys are about to p me off! Abby with the birthday girl about 20 minutes after we got there. We had to beg off. She was just too overwhelmed. But hey, we tried. 5 minutes after we left. Poor kiddo. Seriously hoping we get our Abby back soon. I hate these meds. It's probably a terrible thing for me to say but I think id rather chance the seizures than have her like this. She is a zombie. 24/7 and that is almost 6 weeks into the medicine. After my last post..where I said it be the last one about me or me whining I got a ton of emails. Apparently alot of our readers take comfort in being able to read about my feelings too..kinda shocked me. Sometimes when I go back after a bad day and read I feel bad and come to find out that's ok. So, Im going to work on catching up with pics and videos and keep my boo hooing to a minimum but my feelings count! We agreed some time ago that if we were going to keep me from going absolutely insane that, from time to time, I would take a day off just for me. I think that was about 3 years ago. At first we agreed to once a month...I had one that first year. Then we decided that it really should be twice a month..no way we could swing once a week. Yesterday I had my 3rd day off in 3 years...It was actually supposed to be on Wednesday but someone had to go to work. Then it was agreed for yesterday..then someone I will not name..who is on salary..got called in again. I had to go all Total Terri on him and we agreed..I agreed..that I could have the car while our little Princess was at school and just go be by myself, outside of the house. I started with a fast food dollar Menu breakfast from Wendy's. YUK! Should have hit MCDonalds. I had planned on lunch but with the change of schedule we had to change movie times and I am far too cheap to eat at the movie theatre. Seriously my family jokes about it. I could have a thousand dollars in my pocket..I am not paying 5 bucks for a hot dog and another 5 for a soda. They make me have to pee anyway then I end up missing half the movie. So, yes, I am one of those weirdo's that is sitting in a movie theatre all by themselves. Saw The Adjustment Bureau. Ehh. It was a Matt Damon movie. Same ole..Sorry Matt. Anything else I wanted to see didn't start till 4 or 430 and I had to be home by then. ( Can you just picture Matt all curled up in a ball in an office somewhere cause a middle aged manic depressive housewife from the Midwest said Same ole about his movie?) It's OK Matt. I'm sure you'll be OK. Here's a tissue. So, I was looking for 2 books in particular. The Secret by Rhonda Byrne and One Thousand Gifts by Ann Voskamp. I have been on this get over it and be happy and Look for GOD everywhere kick. Need to have to. I cannot rely on Meds and my bed to make it better anymore. I found both and purchased them. I went over to the coffee shop and endulged in a carmel macheatto sp? and an Chocolate explosion cupcake...ohhhhh man! I opened up One thousand gifts and started to read. It only took a few pages to realize this was going to be the book I needed. I kept having to stop every few paragraphs to catch my breath but wow. So Paybacks...I really did have a wonderful day. Sharing one car I rarely get out. Church on occasion anymore and every other week therapies. That's it...Come to think of it my house really should be cleaner than it is with all the time I spend in it. I actually wore myself out yesterday between the med change and the alone time and actually got to go to bed early. Fast Forward to midnight. Abby wakes up projectile vomiting. We have moved her bed into my room since the seizures started in hopes that I could rest easier and get to her quicker. She was shaky and quite PO'd. I have no idea if a seizure started the vomiting or if she just got sick...she feeds through the night with her Gtube. So she puked all over her bed,herself, me and my bed. That's what I get for taking a day off! This will be my last blog on here about me. I have decided that I need a blog dedicated to me,myself and my endless ramblings. 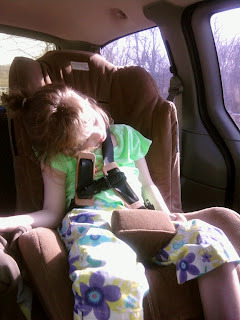 This blog really needs to be about Abby, Rett Syndrome and helping other families. If you get your kid a flu shot and she gets the flu anyway can you get your money back? Abby is still sick. The fevers have pretty much gone..kinda sticking between 99.5 and 100.5...much better than the 103-104 we have been having. I'm hoping for a miraculous recovery tomorrow. She has already missed a week of school. She has got a gnarly cough though and isnt sleeping well. Her Apnia is really kicking in. After the other day I'm thinking about paying someone to drive her around town for 4-5 hours so we can both get a proper nap. Do you think they make mats that go under a matriss that emulate a running minivan? This week Abby has the Flu and missed her 1st 2 Kindergarten field trips/ I feel terrible about it but she is running fevers between 103 and 104. The doc warned us that the fevers could come and go for a week.